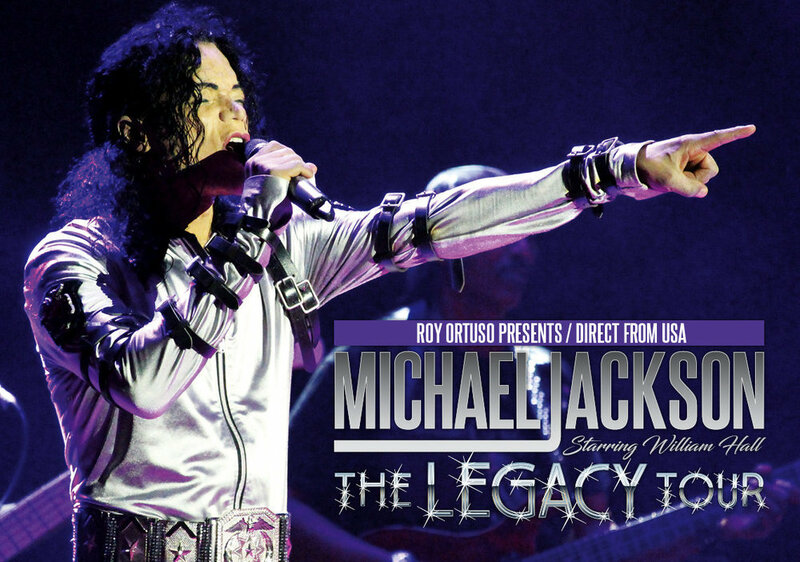 William Hall becomes the King of Pop when he hits the stage with his full scale production of Michael Jackson The Legacy Tour. The show, produced and endorsed by previous members of Michael Jackson’s crew, is a visual and musical voyage through the artistic life of the 20th Century’s most respected and idolised entertainer. The choreographed dance moves, live band and multi-faceted light show promises to repeat the Michael Jackson experience. With international shows across Europe, Russia, the United States, Australia and New Zealand, William Hall is as close as you will get to experiencing the King of Pop.